[description] => SJ Suryah will be seen playing the antagonist in Spyder starring Super Star Mahesh which deals with bio-terrorism. Filmmaker SJ Suryah who is known for directing offbeat films like Vaali, Khushi and Puli has lately become more popular for his acting skills. Suryah was often spotted in cameos in his films like Khushi and Vaali and hadn’t given full time acting a shot. But lately his focus seems to have shifted from film-making to acting, thanks to his role in Karthik Subbaraj’s Iraivi which got him the due attention he truly deserved. Speaking to a leading daily, SJ Suryah delves into his upcoming films Spyder with Mahesh Babu and Mersal with Vijay. "I always wanted to become an actor, and it’s all happening finally. I became a director only to launch myself as a hero some day," said Suryah speaking to New Indian Express. Speaking about his interest in acting and becoming a hero, Suryah said, "Everyone wants to be at the top of their jobs, right? Being a hero is the highest position in the department of acting. It’s not easy to become a hero. You need a director and producer to believe in you. I didn’t have any backers when I tried to break into the industry after my graduation at Loyola College." SJ Suryah will be seen playing the antagonist in Spyder starring Super Star Mahesh which deals with bio-terrorism. Speaking about it, Suryah says, "I said yes to Murugadoss without even asking for the story of SPYder. It didn’t even matter to me who the hero was. It was a surprise to learn the hero was Mahesh Babu and that it was a bilingual film." Suryah also adds that he was floored with how director Atlee narrated the story of Mersal to him and why he accepted it. "I was mind-blown by how he enacted the whole narration of Mersal, especially its flashback portions. I was concerned about playing a villain again, but I accepted it right away because of Atlee’s narration," added Suryah further. SJ Suryah will be seen playing the antagonist in Spyder starring Super Star Mahesh which deals with bio-terrorism. 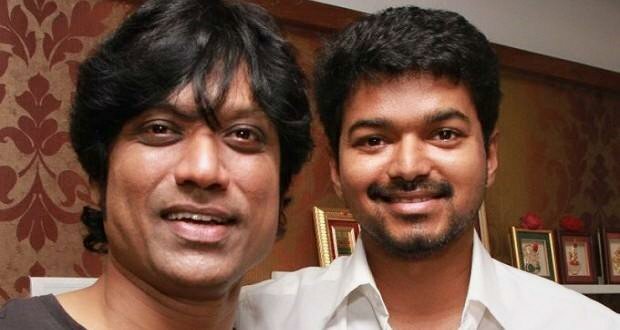 Suryah also adds that he was floored with how director Atlee narrated the story of Mersal to him and why he accepted it. “I was mind-blown by how he enacted the whole narration of Mersal, especially its flashback portions. I was concerned about playing a villain again, but I accepted it right away because of Atlee’s narration,” added Suryah further.